In our various and extreme testing environments, we are often called upon to measure very transient phenomena. These can include visible, electrical or mechanical events. The Dolan Technology Center is well equipped to capture and measure any number of these high speed phenomena with our various recorders and data acquisition systems including high speed photography. The current capabilities of the Dolan Technology Center include the ability to capture photography at 1,000 frames per second and to capture data events across over 70+ channels of data at acquisition rates as high as 2 million samples per second. We have the ability to combine various measurements into a single acquisition stream of data to ensure time synchronization across the testing event. 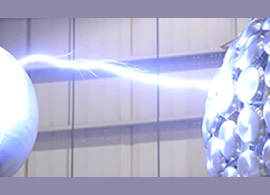 With our fiber optically connected remote data acquisition equipment, we routinely capture data associated with our available high voltage systems up to one million volts and beyond. In addition to capturing events that take place in fractions of a second, we also routinely capture and track data in long duration testing which can last several weeks or months per testing event. We leverage these various data acquisition systems to help both our internal and external customers solve design or field engineering problems to ensure the devices or systems under study are fully tested, understood and ready to meet the needs of the final customer. 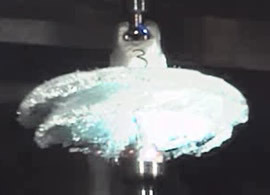 In this video a glass transmission disc insulator is subjected to combined mechanical and electrical stresses. This insulator failed while being subjected to 36,700 pounds of tension while also being subjected to 60,000 volts of electrical stress. The original video was captured at 1,000 frames per second (fps), but has been rendered at 15 fps for this linked video in order to speed the display of this test. 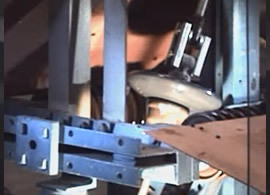 This video depicts impact testing on a ceramic transmission disc insulator. In this test a weight is dropped from increasing heights or angles until the ceramic insulator fails. While the original test was captured at 1,000 frames per second (fps), this video is shown at 30 fps to shorten the viewing time. In this video of an actual flashover event, the ball on the left is grounded and suspended from an overhead crane while the test set on the right is energized until the flash-over occurs. Note that the suspended grounded sphere appears to move away from the test set after the flash. In fact, the grounded sphere was attracted to the energized test set during the ramp up of the applied voltage and the movement of the grounded sphere after the flash is due to the electric field being removed allowing the grounded sphere to return to its normal position without the effects of the electric field generated from the test set. 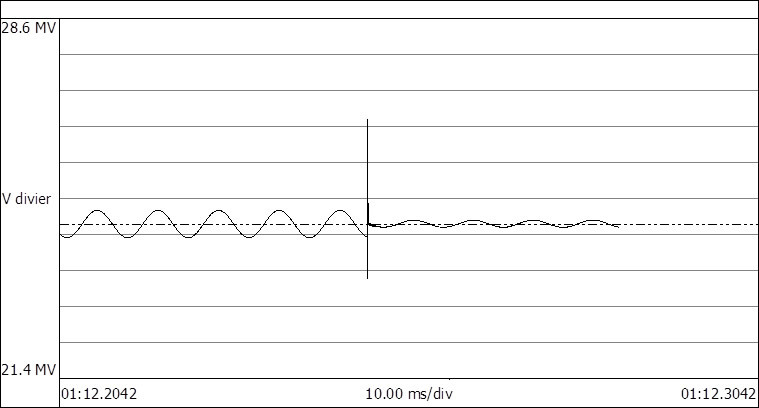 The following graph is an example of high speed data acquisition observed during a flash over event while testing our 1.3 million volt test set. Note that prior to the flash-over, the test set was energized at over 1.9 million volt Peak- Peak. This data was captured at 500,000 samples per second. 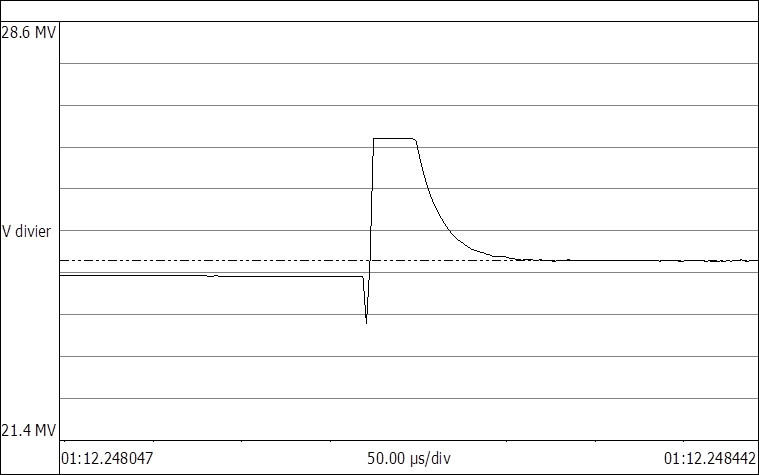 If we zoom into the actual flash-over event, we can observe that the voltage measurement was clipped at over 14.64 million volt, Peak. If you would like help with your various data acquisition needs or analysis, please contact the skilled team at the Dolan Technology Center.